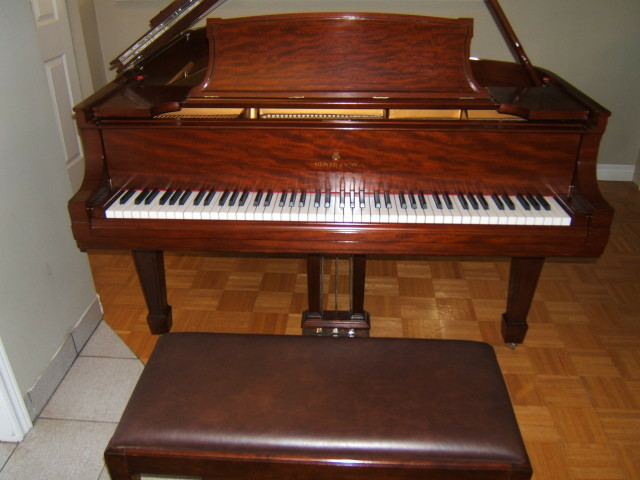 Description: Magnificent Steinway grand from the " Golden era" of piano construction . One of the first of the "L" series grands bujilt in New York. Recently restored and refinished, with new pinblock, strings and tuning pins. Renner action parts. Comes with matching bench. This is a consigned piano as the customer is downsizing. Tremendous sound and responsive action.